Should parents stop sharing info about their kids on social media? I’ve always taken articles about the dangers of posting photos or personal stories about children online with a grain of salt, and any perceived risk seemed infinitesimally remote, especially when compared with the vast richness that the blog has brought to our family’s lives. That’s why I was taken aback when a few bloggers with whom I came of bloggy age back a decade or so ago have reacted to a New York Times blog article titled “Don’t Post About Me on Social Media, Children Say” by saying it moved them to delete their old parenting blogs entirely after reading it. While some of the bloggers who have chosen to remove their blogs wrote in a style that was perhaps more raw than mine, I think the early success of the blog was largely due to the personal anecdotes rich with intimate details. Even as I occasionally cringe at how there was nothing too personal or too mundane for the blog back in the early days, I don’t think I could bring myself to pull the whole blog down. There are so many beautiful memories bound in its archives, and one of my favourite things about the blog is coming across an old post in the archives that brings me instantly back to a moment in time that would have otherwise been lost forever. That’s not to say that the blog hasn’t been at the root of a few awkward moments. There was the time last year when my eighth grader casually mentioned that they had had my blog up on the smart board in his class that day. As I asked for a bit of context, I frantically scanned my minds’ eye back on the previous three or four months of blog posts for possible perils. How exactly did that come to be? His English teacher asked if anyone kept a blog, and he casually piped up that no, he didn’t have one, but he was IN one, and provided my URL. And as a class, they examined it. One of Tristan’s friends casually mentioned the next time I saw him how much he likes my photographs. Then there was the time a few years back when the principal called me in to the office to have a discussion about what she perceived as a slanderous post about rain pants. And of course there was the whole creepy thesis debacle. Every now and then I do a search on the boys’ full hyphenated names, and I am always relieved that Google has generally failed to connect them to the blog. Not that someone with time on their hands couldn’t make the connection, but at least it’s not too easy. Until they put it up on the smart board in front of their classmates, at least. But that kind of sharing — about food issues, potty training and tantrums — is exactly the kind of sharing that can be valuable. “Children benefit from the community created when parents have the ability to share their stories,” said Ms. Steinberg. Those posts about picky eating might have helped my friend find solutions, or a fresh wellspring of patience for a behavior her child would eventually outgrow. When parents share those early frustrations, they don’t see themselves as exposing something personal about their children’s lives, but about their own. As a society, says Ms. Steinberg, “we’re going to have to find ways to balance a parent’s right to share their story and a parent’s right to control the upbringing of their child with a child’s right to privacy. There are many ways to be protective. Some parents don’t use names, or don’t post pictures with recognizable faces. Some blogs are completely pseudonymous. It’s just a little bit too late for me to consider any of those options, so we’ll muddle through together. I try to think of as many potential audiences as I can while I am writing a post (the boys’ peers, their teachers, my peers, my boss, potential photography clients, the boys’ future bosses, Beloved’s colleagues, and people who might wish us less than well are only the short list of various audiences that make me wary) and I usually ask at least the older boys to read blog posts with references to them to make sure that I’m not overstepping my limits. I admit that the posts I struggle with the most are their annual birthday love letters – it is increasingly difficult to express in unself-consious and fully Google-indexed detail the wonders and peccadilloes of their personalities and my infinite love for them. I almost didn’t post Tristan’s last year, and this year I only posted it when he specifically asked if I’d written one. I only published it after he’d read it and given me explicit permission. I truly feel that the many gifts that the blog has brought to us, from tangible goods to career paths to the simple archiving of memories, far far outweigh the potential perils. In the end, I’m reasonably confident that I’ve found a balance that works for our family, and that’s the most important part. For those of you who have blogged about your children in years gone by, have you left the archives intact? Do your kids know about and read your blog? Would you want them to? Have you ever had an awkward moment when something you posted online was taken out of context? As always, I’d love to hear what you think! Can you believe the blog is TEN YEARS OLD this month? I’ve been blogging for a decade. And that’s not the only milestone anniversary I’m celebrating in 2015. 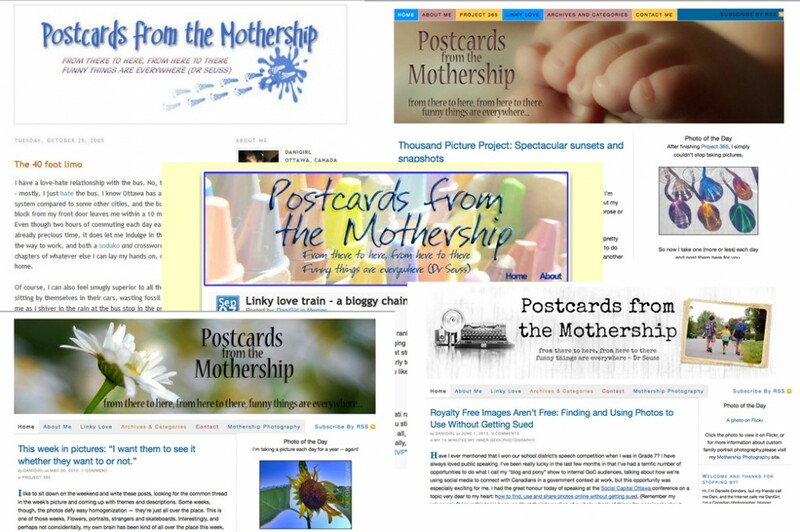 Mothership Photography is five years old this summer. In March, I’ll be celebrating the 25th anniversary (!!) of my first day of work with CRA and Beloved and I will be celebrating the 20th anniversary of the day we met. That’s a bonanza of things to celebrate, so I’m hoping to do a whole series of retrospective posts in the next little while. I figured I’d launch it with this little meme I first published in 2005 and revisited in 2006, 2009, 2010 and 2012 – heh, I have always been a little guilty of repeating myself. So, here’s the 10th anniversary edition of the time traveller meme! Unemployed (for the only time in my life) after having quit my job as a cashier supervisor at Zellers in hopes of getting a job with the government. I’d quit university to work full time at Zellers a few years before. And speaking of time travel, you know what else is significant about 2015? It’s the year Marty McFly visited when he and Doc Brown visited the future from 1985. We just watched Back to the Future parts I and II with the boys over Christmas – speaking of revisiting, if you haven’t seen them lately, they really do stand up to the test of time! Turns out that’s what I was doing 30 years ago – watching Back to the Future for the first time in theatres as a shy, awkward, boy-crazy dreamer who only wanted to get married and have babies. If only I’d had the faintest idea how much more awesome life would turn out than I could have imagined back then! Some people head to the gym in January to work off those extra cookies. Some people put away the Christmas decorations and use the opportunity to clean house and purge. Not this girl. Nope, I spent hours on my arse staring at my computer this weekend – but I’m pretty darn happy with the results! 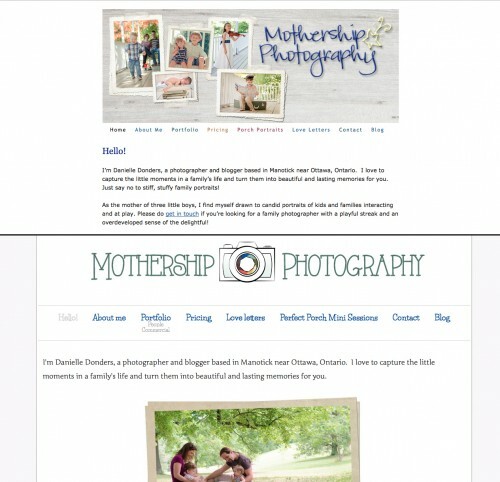 First, I overhauled my Mothership Photography site. That’s a task I’ve been meaning to take on for years, almost right from the time I launched in back in 2010 or so. My graphic design skills have improved immensely in the past few years (did I mention I even toyed with the idea of going back to school part time for graphic design?) and I love the bright clean new look. Much improved, right? And how much do I love the little camera logo that Beloved sketched out based on an idea I had but couldn’t quite pull together? I love it so much that it may just be my next tattoo! 😉 I’d love it if you took a little tour around and let me know if you see any problem areas or if, yanno, you just want to heap me with lavish praise for my mad web design skillz. Facebook turns 10 — and Blog turns 9! It’s the heart of the birthday season at our house. Simon last Saturday, Lucas this Saturday, Tristan in a couple of weeks, my mom just before that. For some curious reason, late winter is also social media-versary season for me. As you might have heard in the media, Facebook turns 10 today with 1.23 billion users – and how much do I love that it’s the same age as Simon? Truth be told, it’s hard to imagine life before either of them! It was a little over three years later that I “discovered” Facebook and signed up for my own account just a few days after Tristan’s fifth birthday: March 16, 2007. I must have had some time on my hands that day to collect shiny online baubles and logins, because I also signed on to Twitter for the first time that very same day! Until today, I had completely forgotten that I’d signed up for both on the same day. And a few years before that, on February 2, 2005 (nine years ago this past Sunday!) freshly back to work after my maternity leave with Simon, I caprciously launched into the cyber-ether my very first blog post. Nine YEARS of blogging, peeps! Funny how little of the above I could have prognosticated back in February of 2005, isn’t it? While I’ve always had a penchant for waxing nostalgic, I’ve never been very good at looking forward and setting long-term goals. Looking at this, I don’t feel so bad about that – so many of the things that make my life a wonderful adventure were not even on my radar screen nine years ago. So what would I blog about? Well, my kids of course. What else is there of significance in my universe? So does the world really need another soccer-mom wanna-be sending dispatches from suburbia, trying to strike a voice somewhere between Erma Bombeck, Jerry Seinfeld and Bill Cosby, but in the 21st century, not Jewish, not male and not black? And potentially not really funny? It perfectly captures the capricious serendipity that has been the lietmotif of my life for the last decade. I think it’s equal parts alarming and delightful that so much of my life hinges on that single question: why the hell not, indeed! I can hardly wait to see what the next decade has in store! When did you succumb to Facebook? Or have you managed to resist the siren song all this time? And what is your social network of choice? There’s no doubt that images make web content more compelling. Studies show that content with imagery generates more social shares, more comments and more interaction. But what if it’s not your photograph? How do you find great images you can use, legally and at low or no cost? Can you use photos from Pinterest, Flickr or Google Images on your site — without the permission of the photographer? Can you get sued for doing it? In this session, we’ll answer these question and more. Here’s a few more questions we’ll examine in this session: Does providing a link or credit to the source allow you to use a copyrighted image? Why aren’t royalty-free photos actually free? What is “creative commons” and how can you use it to find photos you can use? Can you use a photo if you digitally alter it? What do terms like fair use, public domain, attribution and copyright really mean for bloggers, Facebook page authors and website owners? In this session you will learn strategies for finding great images that you can use on your blog or website, and how to protect yourself from serious legal consequences from running afoul of copyright legislation. Following this presentation, participants will know how to find quality imagery to augment their blogs and websites, both for a fee and for free. Participants will have an understanding of some of the legal and illegal uses of imagery on blogs, websites and social sharing sites like Facebook and Pinterest. Participants will also have a greater understanding of Digital Millennium Copyright Act (DMCA) the risks and consequences of violating copyright law in Canada. Feel free to pin and share – I designed this one for sharing! As we get closer to the conference (it’s June 1, have you bought your tickets yet? ), I will leak share a few morsels of the content, and I’ll probably write it all up in a bit more detail afterward. I’m saving the good stuff for the conference, though, so you might as well come! Sigh. I just tried to post a comment on a large and popular blog-gone-commercial. I had a long and thoughtful comment typed out, and then I tried to post it. The site wanted me to sign in with a user-ID and password I probably acquired back in 2006 or so, the last time I was motivated to comment on this particular site. Um, long gone from my scabby little memory. 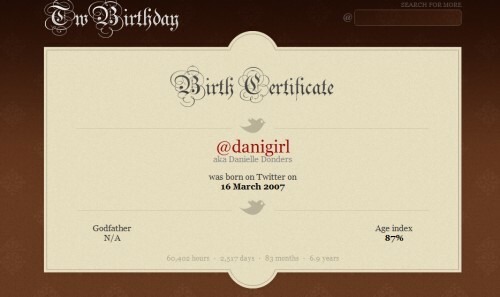 My other options were signing in through a myriad of social networking sites: Facebook, Twitter, etc. But in order to do that, I’ll need to authorize an app to access my other social media accounts. I’ve always been kind of leery about this. Or I have to sign up for an account through the proprietary commenting service. Another set of user-IDs and passwords, and another source for spam. Ugh, seriously? I hunted in vain for the simple, old-fashioned “name, e-mail address and your web site” options but alas, they are no longer available. So unless I want to allow an unknown and potentially unreliable site to have permission to access my social media accounts, my opinion doesn’t count and nobody wants to hear from me. I simply paged away without being able to post my comment. I’ve been blogging a l-o-n-g time, I know. I’m a dinosaur. But I kinda really miss the old days, when you bent over backwards to get comments and when comments were the lifeblood of your blog. I remember how I agonized over capchas and hated that there was that last hoop to jump through. I’ve thought about installing some of the new fangled comment systems that allow you to “like” specific comments, or reply in threads to individual comments. But I always fear they’d make commenting more difficult, and I never want to do that. The commercialization of blogs doesn’t bother me. The fact that everyone who has a keyboard now has a blog doesn’t bother me. But this one bothers me. Comments are gold and should be treasured; you shouldn’t have to work so hard to post one. What do you think? Should I stop whinging and just post through my FB or Twitter accounts? Get your 2012 BOLO on! Mommyblogger, a photo by Dani_Girl on Flickr. Cuz yanno, sometimes a picture does say it so much better than a thousand words could.